Another one of William Fowler this time in India. 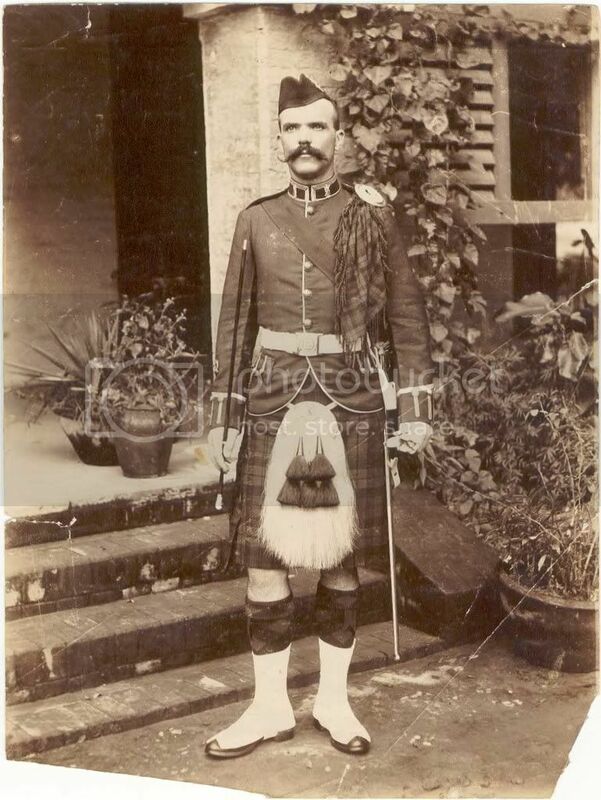 Look at his dress and turn out,superb tailoring and well pressed,taken in India,pre WW1? 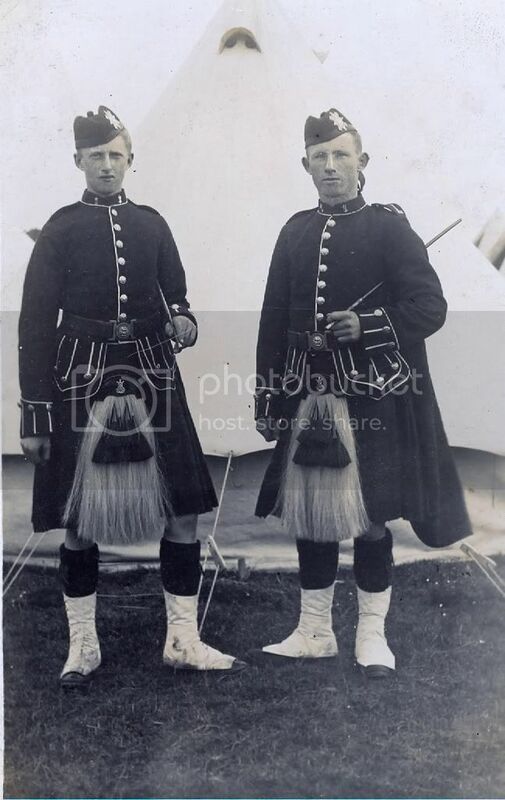 We could send the photo to RHQ The RRS on how the Highland dress should be worn!!! 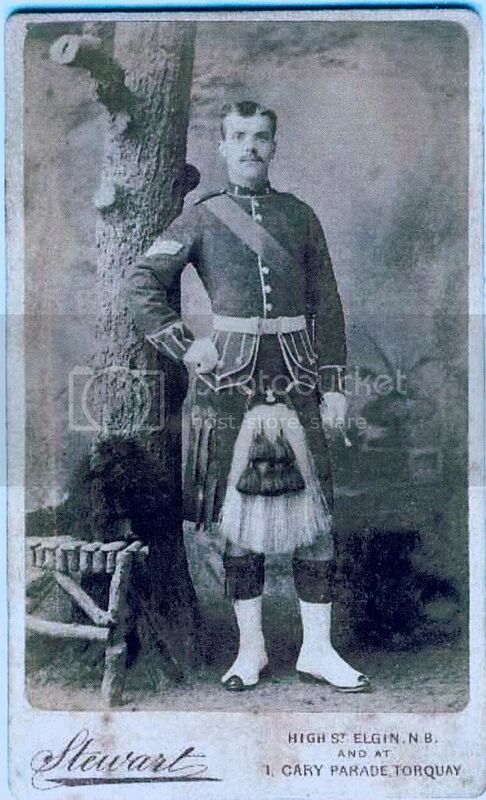 5th (Angus & Dundee) Bn B.W. 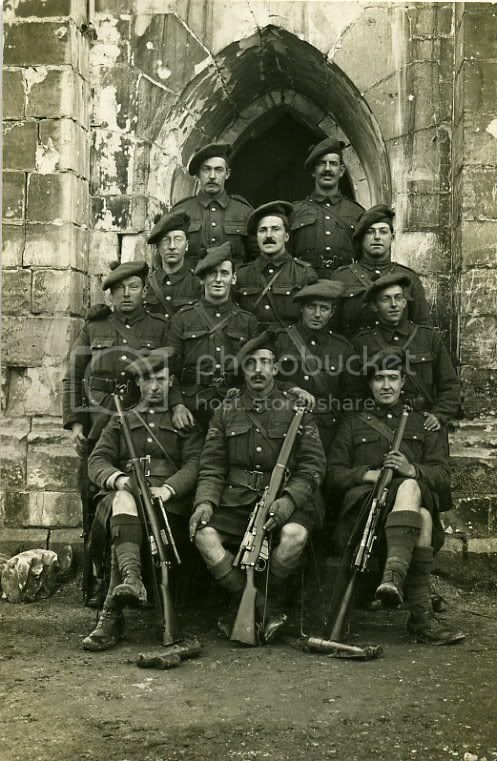 (Royal Highlanders) T.F. CIRCA 1910. 9th Batn snipers Arras Cathederal 1917. As Joe Quite rightly said, anyone who has not previously seen Ron's amazing collection is in for a real treat. Thanks again Ron . wearing gloves with the fingers cut off. 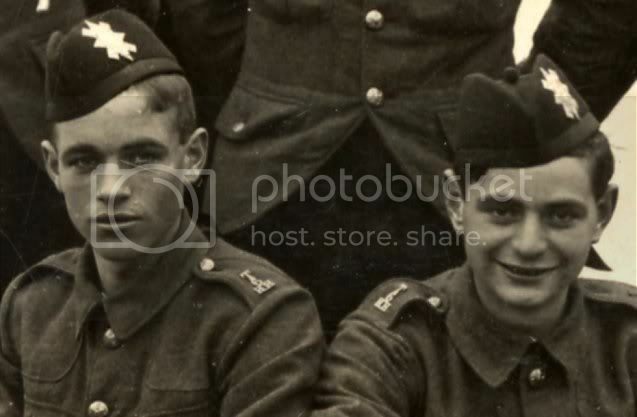 Two young lads of the 6th (Perthshire) Bn TF taken 1913. Nice picture of Sgt shame its so faded. Probably taken on 1st Bns return form Boer War 1902. They still issued them to Bandsmen when I was in Joe, for those cold parades where the fingers froze on the keys , a wee bit like the buglers lips lol . Here he is again. A slight improvement.